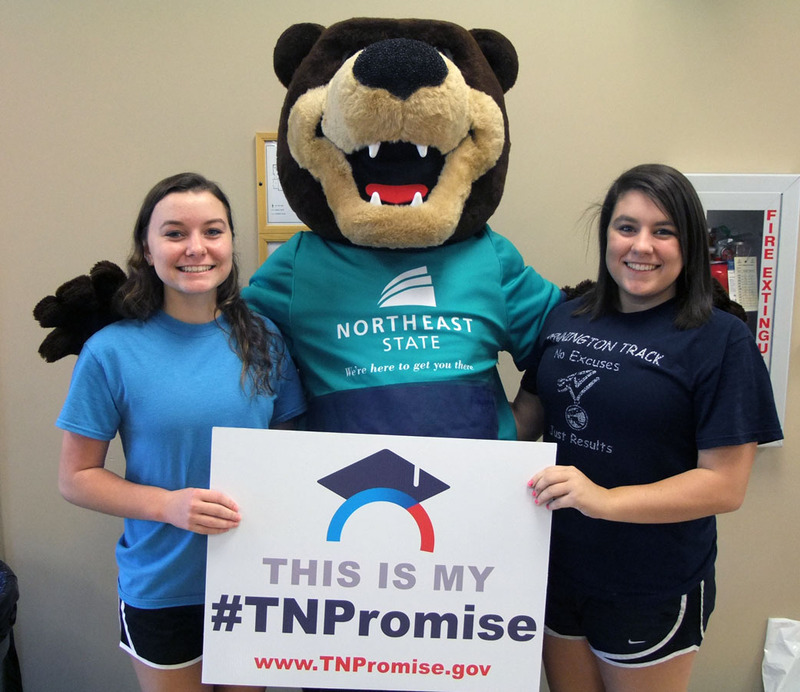 Be a mentor and make a difference with TN Promise! So you want to mentor a student for Tennessee Promise? Northeast State would love to have you! tnAchieves, a partnering organization to Governor Bill Haslam’s Tennessee Promise is seeking to bring more than 6,000 volunteer mentors statewide to support the Tennessee Promise initiative. Northeast State is seeking mentors for Sullivan, Washington, Carter, Unicoi, and Johnson counties. TN Promise needs mentors to work with students. Data confirms that working with a mentor further enhances a student’s likelihood of entering the post-secondary pipeline. In fact, UT’s Center for Business and Economic Research found that students participating with tnAchieves are nearly 21 percent more likely to enter college. The role is simple but significant as our mentors help students reach their potential. At its core, tnAchieves mentors complete an application, choose their preferred high school, complete a one-hour training session, attend two one-hour meetings, and communicate with students every two weeks via email, phone or text as they transition from high school to college. If you are interested in becoming a tnAchieves Mentor, visit www.tnachieves.org/mentor-application. For questions please contact Graham Thomas at 615.604.1306 or graham@tnachieves.org. Four accomplished artists brought together under the lead singer’s banner to make some of the best contemporary music in the region take the stage at Northeast State this month. The Tyler Williams Band plays a free one-night only show at Northeast State on Tuesday, Oct. 28 at 7 p.m. at the College’s Regional Center for the Performing Arts Theater on the main campus in Blountville. The performance is the keynote event for Disabilities Awareness Week on campus. Singer, songwriter Tyler Williams, born in central Ohio, is a young man with big dreams that started when he was just two years old. At age four, he began playing piano attracting the attention of everyone around him. Although Williams was born with Cerebral Palsy and became blind at infancy, he remained determined in his pursuit of becoming an entertainer. Over the years, Williams refined his skills playing with some of his heroes such as the legendary Tony Rice, Lonesome River Band, and Balsam Range. His hard work has produced a powerful voice and original style. He assembled a group of regional all-stars ready to move forward into the entertainment world. Williams’s band is composed of Ashley Davis, Aaron Smith, and Megan McKamey – all gifted individual performers in their own right. Davis learned piano from her mother and picked up guitar on her own when she was 12 years old. She played with The Parsons and Sweet Potato Pie throughout her college years. In 2007, Davis recorded her first solo album, “Fiddlin’ with Les,” which is titled in honor of her musical mentor. Smith first picked up a guitar at the age of 12 and soon learned how to play efficiently off recordings from artists such as Ricky Skaggs and Kentucky Thunder, Blue Highway, Alison Krauss & Union Station. While still a teenager, he traveled full time with semi-professional band, Still Waters and ultimately attended East Tennessee State University to study in the prestigious Bluegrass, Old Time, and Country Music program. Davis quickly gained recognition with his guitar work and tenor singing and has also become fluent on mandolin and banjo, as well as working on bass. Sponsored by Northeast State’s Cultural Activities Committee, the who is free and open to the public. Doors open at 6:30 p.m.
Northeast State commemorates Disability Awareness Week Oct. 27-31 focusing on individuals who have battled and triumphed over disabilities. The Northeast State Center for Students with Disabilities (CSD) is sponsoring a week-long series of events where students and guests will discuss how they overcame challenges associated with their disabilities. The week kicks off on Monday with a film festival including The Blind Side the true-life story about NFL player Michael Oher, Forrest Gump about everyone’s favorite Southern boy, and Soul Surfer the story of surfer Bethany Hamilton who lost her arm to a shark attack. All films will be screened in the Auditorium (A202) and include free popcorn and drinks. Films will also be screen at the Kingsport Center for Higher Education on Monday, Oct. 27. The week’s keynote event is a concert by the Tyler Williams Band at noon and 7 p.m. on Tuesday, Oct. 28 at 7 p.m. at the Regional Center for the Performing Arts Theater on the main campus. Williams was born with Cerebral Palsy and became blind during his infancy. That didn’t stop him from playing music and continuing his dream to become an entertainer. A student panel discussion entitled, “In Our Shoes” brings together Northeast State students and faculty to discuss their own challenges with the disabilities that changed their lives and how they learned to manage them. This event begins at noon on Wednesday, Oct. 29 in the Auditorium. The week closes on Thursday, Oct. 30 with a lecture by Jason Oliver at 9 a.m. in the Auditorium. Oliver battled through learning disabilities as a student. 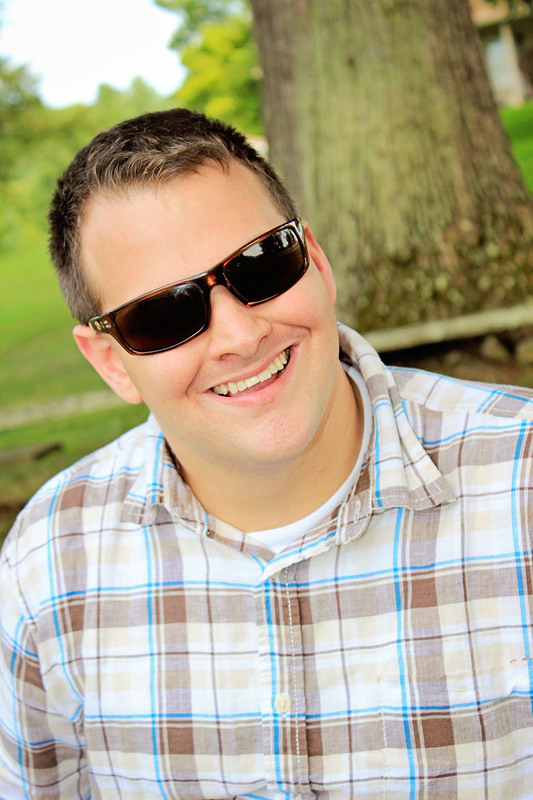 Through his own experiences, he has become a learning disabilities advocate, helping people fulfill their dreams through individualized service planning. Informational displays about disability services at Northeast State are available at all the College’s teaching sites. For more information about the week’s events or services provided by CSD, call 423.279.7640. Northeast State’s annual Fall Technology Career Fair will offer job seekers excellent one-on-one networking opportunities with local employers Thursday, Oct. 23. The event will run from 1:00 p.m. to 4:00 p.m. at the Regional Center for Advanced Manufacturing (RCAM) in Kingsport, 305 W. Main St.
What is synergy? A catch phrase? A book title? Or does it reflect a way of thinking to help students and faculty members reach beyond the traditional classroom into a new wave of learning. Musician and educator Jim Donovan seeks to explain this idea and teach others to become effective leaders when he visits Northeast State on Thursday, Oct. 23 at 12 noon and 7 p.m. at the Northeast State Auditorium (A202) on the main campus in Blountville. To help their students compete in the global workplace, universities are under increasing pressure to find ways to teach students how to be an effective part of a team. The problem is finding compelling ways to quickly align diverse groups of people with a common purpose in a synergistic and enjoyable way. 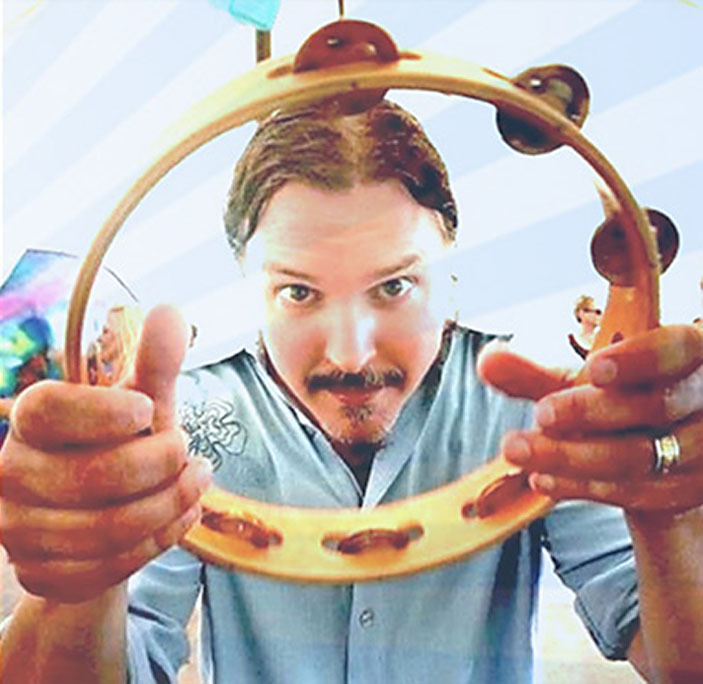 As a member of the platinum-selling band Rusted Root, he co-wrote and performed Send Me on My Way, a song whose unforgettable whistle has been featured in the films Matilda and Ice Age. Now a faculty member at Saint Francis University, Donovan works as a master facilitator, inspirational trainer and world-class musician with over 25 years of leadership and performance experience. His touring work with Rusted Root provided ample opportunity to share the arena stages with rock legends such as Carlos Santana, members of Led Zeppelin and Sting, among others. Donovan is involved in research at Saint Francis where he has developed a training program that teaches Occupational Therapists, medical professionals, parents and teachers how to use percussion techniques as a complementary intervention for autistic and individuals with other disabilities. • What if “meeting the goal” meant that all team members would choose to reach beyond what most people believe is possible? • How might your students and our world improve if choosing selfless and courageous collaboration was a key part of their experience at your school? Donovan and the Rhythm Team solve these issues by implementing a tried and tested, stepwise approach to leading group music creation designed for people with no prior musical experience. Participants engage in creatively solving problems in a way that pushes the edges of their comfort zone in an atmosphere of safety. Sponsored by Northeast State’s Cultural Activities Committee, Donovan’s presentation is free and open to the public. Doors open at 6:30 p.m.